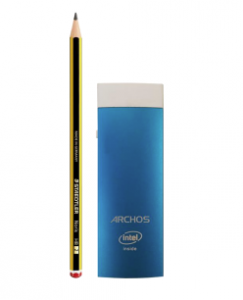 France-based consumer electronics supplier Archos is throwing its hat into the growing HDMI dongle market with the launch of a low-cost Intel and Windows 10-based device, the Archos PC Stick. The device, which will retail for £79 (€111) in the UK, features an Intel Atom Quad Core Processor, 2GB or RAM and 32GB of Flash memory. Windows 10 is set for release on July 29 and the Archos stick will be available before the autumn, according to the company. Microsoft Office applications are pre-installed on the Archos PC Stick including Word Mobile, Excel Mobile, and PowerPoint Mobile. Users can use Cortana, the Windows personal assistant, as well as the full Windows 10 Store for access to applications that can customise and enhance the device. Multiple desktops are also supported. “The world is always competing to build the smallest computer, and Archos now offers one small enough to fit in a pocket at less than £79,” said Loic Poirier, CEO of Archos.